is published since 2013. It was founded by Sh.Marjani Institute of History of Tatarstan Academy of Sciences (record №01 on April 16, 2013). Publication Frequency: Four issues are published annually. The journal is aimed at intensifying publication of researches of the Golden Horde and Tatar khanates’ history at the high international level. Journal objectives: coordination and promotion of researches of the Turko-Tatar history at the international level, introduction into the scholarly circulation of new historical sources, reviewing of research monographs on the aforementioned subject, establishment of a platform for academic discussions and development of this branch of knowledge. 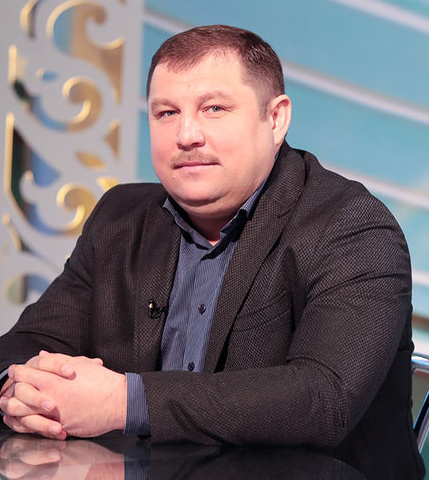 Publications of concrete historical, historiographical and source study content relating to all areas of the study of the history of the Golden Horde and Tatar khanates are reflected in the journal’s pages. At the same time, the journal is based on the academic concept considering the history of the Golden Horde and Tatar khanates as united world of the “Golden Horde civilization”. An independent peer review service of incoming materials operates since the journal’s establishment. In addition to the members of editorial board the journal resorts to the help of well-known experts in the field of humanitarian studies for this purpose. Chronicle of main academic events (conferences, publications). The journal publishes original, previously unpublished materials in Russian (with a summary in English) and English languages. “Golden Horde Review” also pays much attention to the discussion of new research publications (monographs, academic publications) implemented in the form of reviews. 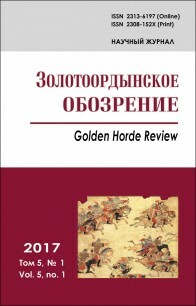 Core policy of the journal “Golden Horde Review” implies the principle of openness of the journal to authors and readers. Open Access Statement: “Golden Horde Review” is an open access journal, which means that all its content is freely available without charge to the user or his/her institution. Users are allowed to read, download, distribute, copy, print, search, or link to the full texts of the papers, or use them for any other lawful purpose, without asking prior permission from the publisher or the author. This is in accordance with the BOAI definition of open access.All the materials of the journal are available under Creative Commons “Attribution” 4.0 license (CC BY 4.0). The journal “Golden Horde Review” is included in Emerging Sources Citation Index (ESCI).